It is evident that all activities of the Foundation concern society as a whole and usually aim at the dissemination of intellectual wealth. However, some of the initiatives we have supported over the years have been about providing material help to sensitive groups of people or about protecting the fauna and flora of our country and the region. Specifically, in the context of our long-term relationship with Cerebral Palsy Greece, the Society has provided grants for its members’ training in special education or speech therapy. More importantly, perhaps, it has organised two highly successful Performing Art and Experiential Seminars which brought together over 250 young people from Greece and abroad, with or without disabilities, in a creative combination of dance, theatre, music and visual art. Wishing to promote the social rehabilitation and reintegration of children, adolescents and young adults with serious psychosocial problems such as mental illness, mental retardation and their attendant difficulties, we supported the Association for the Psychosocial Health of Children and Adolescents in setting up its second Community Home. The Home hosts eight to ten adolescents and youths five days a week, so as to ensure a homelike atmosphere and setting and to encourage the families to have them back with them over the weekends. Retarded Aghios Nikolaos, the Theotokos Foundation, the Recreation Centre for Occupying Mentally Retarded Children Parent and Guardian Board Aghios Panteleimon, the Saint Demetrius Children’s Care and Welfare Centre, the Society of Parents, Guardians and Friends of People with Mental Disabilities Ergastiri, the Association of the Parents-Guardians and Friends of Autistic Children S.O.S., the Society for the Protection of Disabled People of Karystos and the Association of the Parents-Guardians and Friends of Autistics in Evros Aghios Vassileios. perform before just one child. environmental organisations and societies which decide upon the project and provide hospitality to the volunteers. Elix has already organised over 300 projects in 104 communities around Greece, with the participation of more than 6,200 young people. elsewhere, and promotes public awareness through its magazine Fysi kai Zoi. Another long and regular association is with the Hellenic Society for the Protection of Nature; in the last ten years the Society, as the Greek representative of the Foundation for Environmental Education-FEE, has been using the Foundation’s donation to run the International Programme Eco-Schools which aims to promote environmental awareness, education and changing attitudes of students in matters relating to the environment. supported the Society’s initiative to collect and publish the articles written by Myrto Apergi for the magazine I Fysi in a single volume under the title Experiences from Greek Nature. 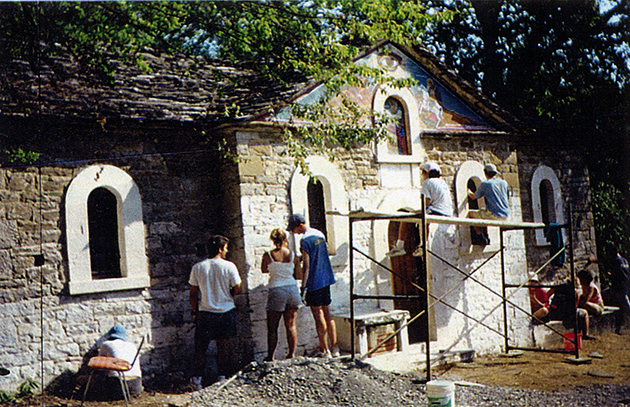 Living River, held in October, 1999 under the auspices of His All Holiness the Ecumenical Patriarch Bartholomew. The Symposium highlighted the problems in the ecosystem of the river Danube as a result of pollution, overexploitation and destruction from the then-recent war in Yugoslavia. Many societies deal with animal protection, given the urgent need to rescue the most specific species threatened with extinction. One of those we have often supported is the Association of Ecologists of Hydra, which started by protecting the traditional character of the island of Hydra and later made a key goal of protecting the marine environment of the eastern Peloponnese and the Saronic Gulf. 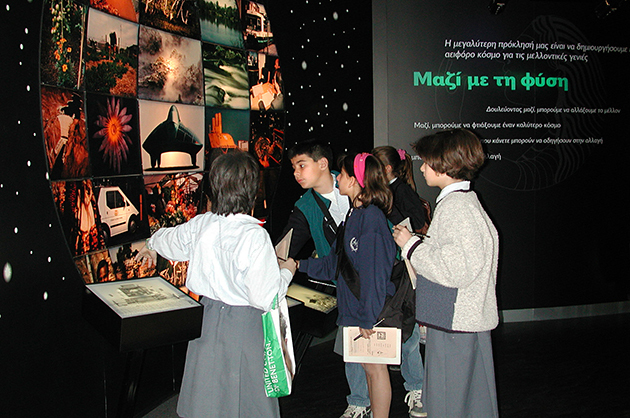 Other societies we have supported include the Sea Turtle Protection Society of Greece Archelon; the Arcturos Environmental Centre for wildlife and environmental protection, mainly on Mount Pindos; the Silva Project for the preservation of the small Skyrian poneys; and the Hellenic Wildlife Hospital on Aegina, which has treated thousands of wild animals, most of which are from species protected by national and EU legislation. Information and Education, which we have supported repeatedly. The title of the society condenses the entire problem of Greece in this area and brings us to the following chapters, which deal in more detail with our activities in Research and Education. Cerebral Palsy Greece, the dance group being prepared for the Nightingale art seminar. 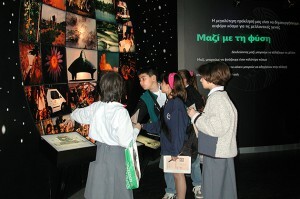 Goulandris Natural History Museum, Gaia Centre: school visit within the framework of the Educational Programmes. 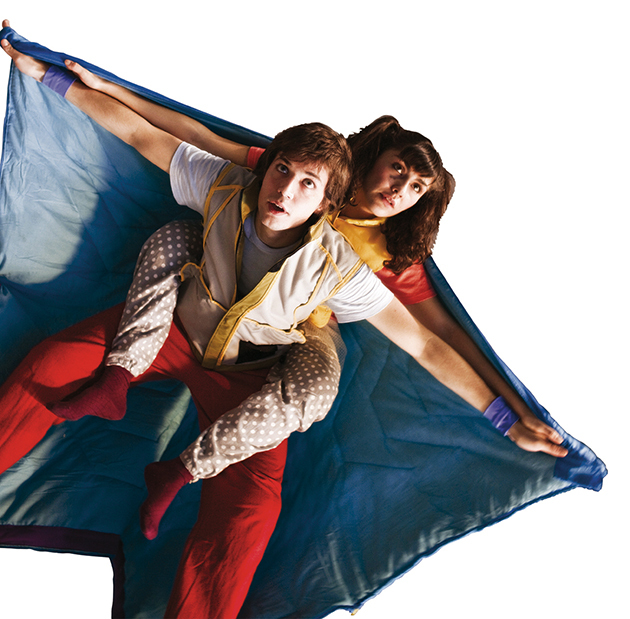 New Art Scene of the Theatre of Neos Kosmos, performance Troul’s riddle addressed to children in hospitals and child care institutions. 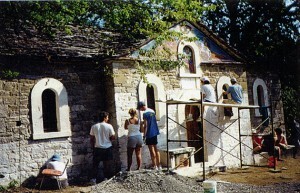 Elix, Conservation Volunteers Greece – Volunteer Work Programmes. 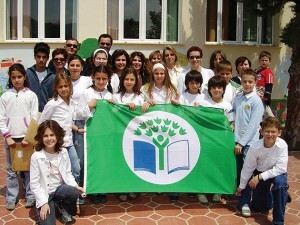 Hellenic Society for the Protection of Nature, awarding the International Programme Eco-Schools.